The Middle East Respiratory Syndrome (MERS) has claimed two lives in South Korea and infected 25 people in two weeks, according to media reports. The World Health Organization (WHO) puts the total number of global MERS cases at 1,161 with at least 436 related deaths. WHO, however, has not recommended travel or trade restrictions on South Korea. MERS is caused by a coronavirus from the same family as the one that triggered the 2003 outbreak of Severe Acute Respiratory Syndrome (SARS). However, MERS has a much higher death rate than SARS and there is no cure or vaccine at present. Though the health agency assures that there has been no human-to-human spread of the virus in South Korea, the government has placed 700 people in isolation, fearing possible infection. The deceased include a 58-year-old woman, who came into contact with South Korea’s first MERS patient, and a 71-year-old man. The latter had a history of kidney ailments, media reports add. 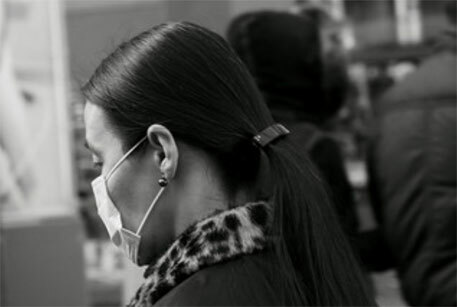 According to the European Centre for Disease Prevention and Control, South Korea has reported the third-highest number of MERS cases after Saudi Arabia and the United Arab Emirates. “As this is a matter directly linked to people’s lives and safety, we will bring together all our health-related capabilities and work to dissolve anxiety and concerns quickly,” Choi Kyung-hwan, South Korea’s finance minister and deputy prime minister, was quoted by Reuters as saying. Schools have been reportedly shut down for a week as a precautionary measure across the country while automobile giant Hyundai has urged its employees to avoid travelling to the Middle East. According to media reports, tourists, particularly from China, have cancelled their travel plans to South Korea. China also reported its first MERS case last week. It was a South Korean man, who tested positive after breaking voluntary house quarantine and flew to Hong Kong before travelling to mainland China, reports say. Chinese authorities fear it will cause the virus to spread. MERS was first identified in human beings in 2012. As per WHO data, the death rate from MERS has been 38 per cent. Compared to this, the death rate from SARS was 9-12 per cent, according to the US National Library of Medicine.